Picture shows white/black. Actual shoe is black/white. 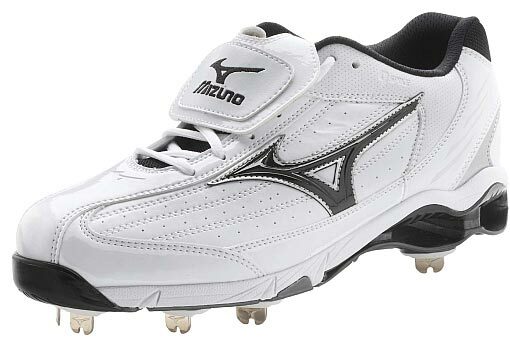 The Mizuno® 9-Spike Classic G5 Low men's baseball cleat utilizes Mizuno Wave® technology for exceptional cushioning and comfort. The 9-Spike configuration delivers aggressive traction and stability, and DryLite technology keeps the foot cool and dry.